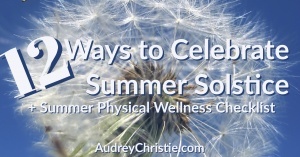 You are here: Home / Functional Health and Wellness / Alternative Healing / Happy Summer Solstice! The Summer Solstice is upon us (at least for those of us in the Northern Hemisphere)! Today marks the longest day of the year, so soak up that sunshine (hello, vitamin D!)! Summer Solstice is celebrated around the world, in various cultures and religions. It marks the official start of summer. Summer Solstice has an invigorating effect on the energy of our planet globally, as well as your individual energy. It also marks a good point to check-in physically to make sure you move through the hottest and brightest months with ease. Are you drinking enough water? This time of year it is easy for you and your littles to get dehydrated especially when playing or working out during the day, outside. Even poolside its easy to get forget to hydrate! Make sure you drink, drink, drink, even more water than usual! Are you getting enough sunshine? Sunshine is critical to your immune system, and your immune system is critical to your over all health and wellness. This time of year we often slather on chemical-laden sunscreen the minute we walk out the door. Remember that we need these rays to help our body absorb and utilize vitamin D. Vitamin D is responsible for the production of over 200 antimicrobial peptides that help to fight off wide ranges of infections (1). You only NEED sunscreen if you are outside longer than 30 minutes between the hours of 10:30am and 3:30pm. Otherwise, soak up the sun! Are you touching the earth each day? It’s easy to get in the habit of wearing shoes no matter the season. But in the summer we often feel barefoot because we wear a lot of open shoes. Take advantage of the worlds best anti-inflammatory, the earth, by getting your bare feet in contact each and everyday. The more often and longer the better, although direct contact for 10 minutes a day is what is needed to be effective (2). Are you taking the right supplements for summer? There isn’t much to change with summer-time supplementation, BUT there is one we often assume we can STOP taking and one we may forget to start. Firstly, make sure you continue taking your vitamin D supplement to keep those levels up. It’s too important not too. If you feel like your getting enough sun, you may drop back to every-other-day, but you may also want to get your levels checked. 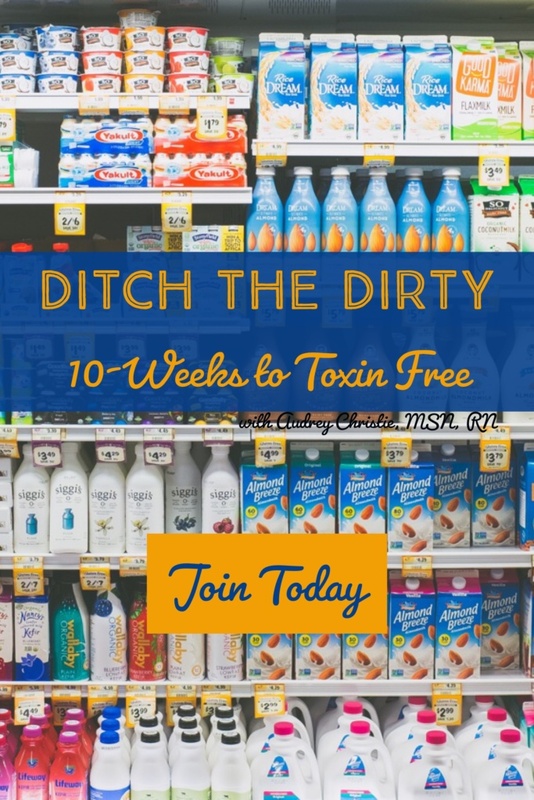 Lots of things can negatively effect our vitamin D levels including the foods we eat (specifically grains).The other supplement not to miss is Astaxanthin. This is sunscreen and wrinkle protection in a pill, it is even said to reverse signs of aging (bonus it is anti-inflammatory too!). Take this little algae based carotenoid daily for 2 weeks to build up enough levels for protection, then take it daily all summer long. Are you getting enough sleep? The length of darkness and heat can make sleeping 7+ hours out of reach. Try making your room completely dark, turning down the air conditioner at night only, and taking oral or topical magnesium for a restful sleep. Sleep is important for all the functions in our body. Are you eating seasonal fruits and veggies? Summer is so full of possibilities for fresh organic fruits and veggies! Make sure you are basing each meal and snack off the colorful possibilities. Remember to “eat the rainbow” or eat for each of the chakra systems. Avoid preparing meals with fall and winter veggies. These are wellness issues where are needs shift and are easily overlooked. Solstice is the perfect opportunity to shift our course and move toward wellness. Sun Tea. Since the sun is out for longer than usual, soak up that good prana by creating sun tea! (I make all my tea this way!) Use a glass jar, add tea bags or loose tea and set in the sun all day. Super charge the positive energy with quartz or citrine crystals for an extra boost of positive energy. Celebrate with a summer bonfire. Harness the inner and outer power of solstice by celebrating the sun and fire. A summer bonfire is great to gather friends and family around. Ask everyone to write their what they are thankful for, wishes or prayers on a slip of paper and add them to the fire at the end of the evening. Diffuse a solstice blend. 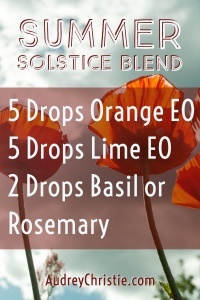 Use a few drops of orange essential oil in your normal blend or create your own blend with essential oils for the solstice. A few oils that are representative of solstice energy are orange, basil, clove, ginger, lime, neroli, vetiver, petitgrain, and rosemary. You can also try my blend. Flying Lanterns. This is a great night to write your gratitude, wishes or prayers into a flying lantern and send it skyward. This is what my family will be doing tonight, weather permitting. Create a flower mandala. Harvest colorful wildflowers and create mandalas on the earth using different pieces or even create flower crowns to wear. Celebrating with flowers is a great way to celebrate and give thanks for the new life that the sun gives. Chakra Balancing. The solstice is all about the solar plexus chakra. The solar plexus is all about “I can.” Read a book or listen to a podcast on empowerment. 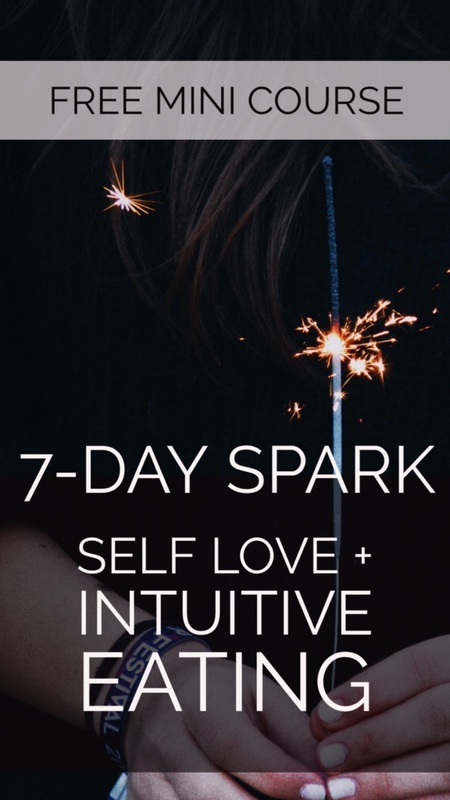 Do a balancing meditation or extra reiki love on the solar plexus. Get out in nature! It is summer after all. Let all your negative thoughts and habits fall by the wayside to get out and enjoy the sun and all the life it provides in nature. You can make any of these more or less personal by lighting a candle instead of a bonfire, or by inviting friends, or joining a Solstice celebration in your community.